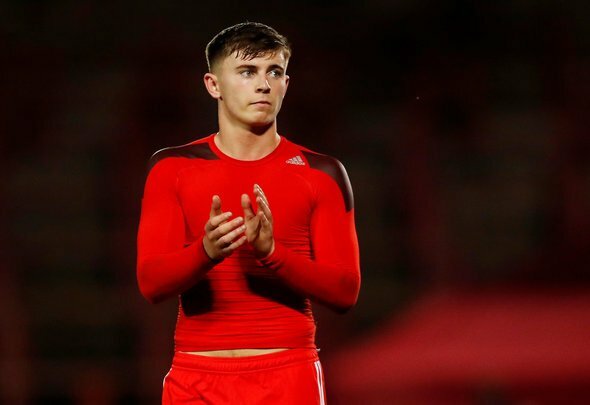 Liverpool youngster Ben Woodburn started and scored in Wales’ 1-0 win over Trinidad & Tobago on Wednesday night, bagging the late winner for Ryan Giggs’ much-changed side. The opposition were limited, but stubborn, and so it’s hard to gauge how much to take away from Woodburn’s performance from a Liverpool perspective. Obviously the fact that he got on the scoresheet is a big boost for him amid what’s been a very difficult season for the 19-year-old. His loan spell with promotion-chasing Sheffield United didn’t work out in the way that anyone hoped and so it was definitely a case of lost momentum for the youngster. However, he remains an extremely young man and there’s still heaps of potential there. Jurgen Klopp needs to think carefully about what to do with him next, because it’s clear that he has real talent. Perhaps a loan to a League One side might be a better next step for Woodburn next season. This was an encouraging display moving forward, though. Very encouraging performance from Ben Woodburn tonight for Wales. Poor opposition yes, but given he hasn’t played much football he looked sharp. Woodburn running the show for Wales…… I’m surprised he has not made more of an impact with us and Klopp . Woodburn having a masterclass? ??? ?